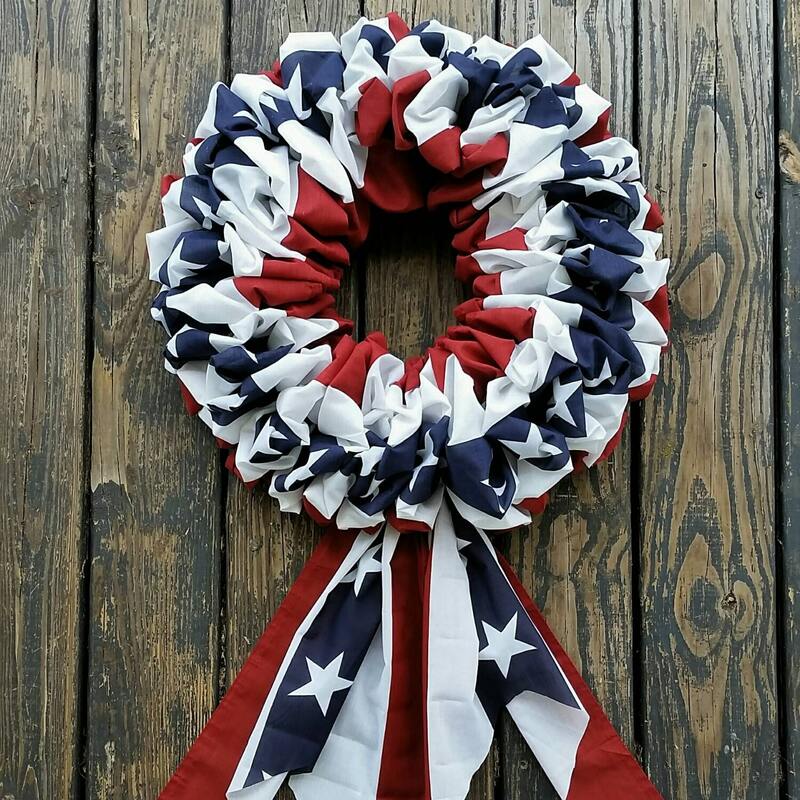 Simple yet elegant... our patriotic bunting wreath is perfect for all your patriotic decorating needs. 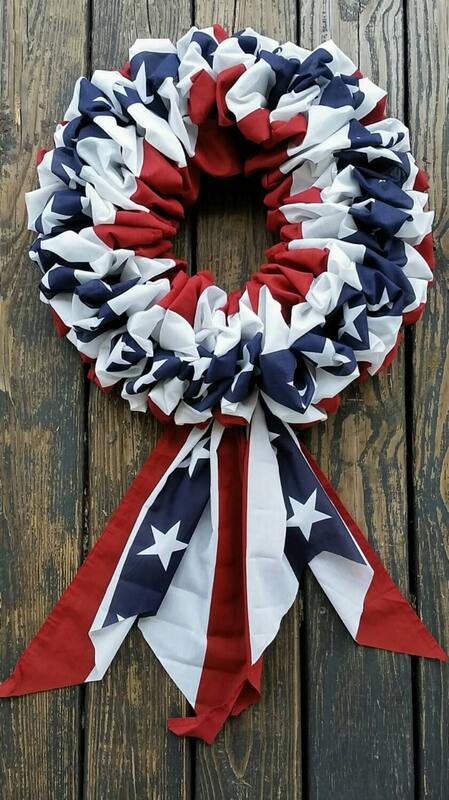 Festoon your front door or hang inside. 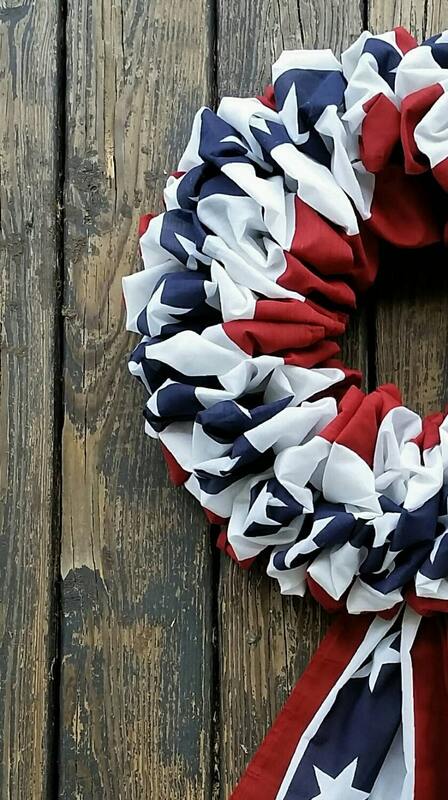 Several yards of red, white, and blue cloth bunting was used to create this wreath. 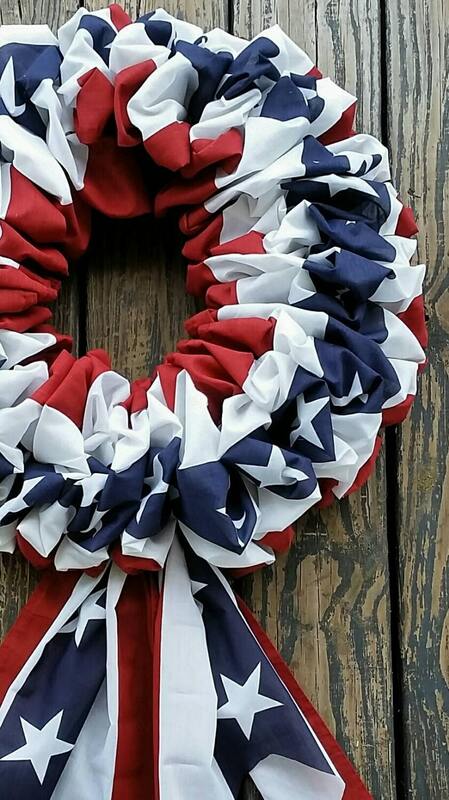 It measures approximately 20 inches wide by 28 inches long which includes the bunting tails. 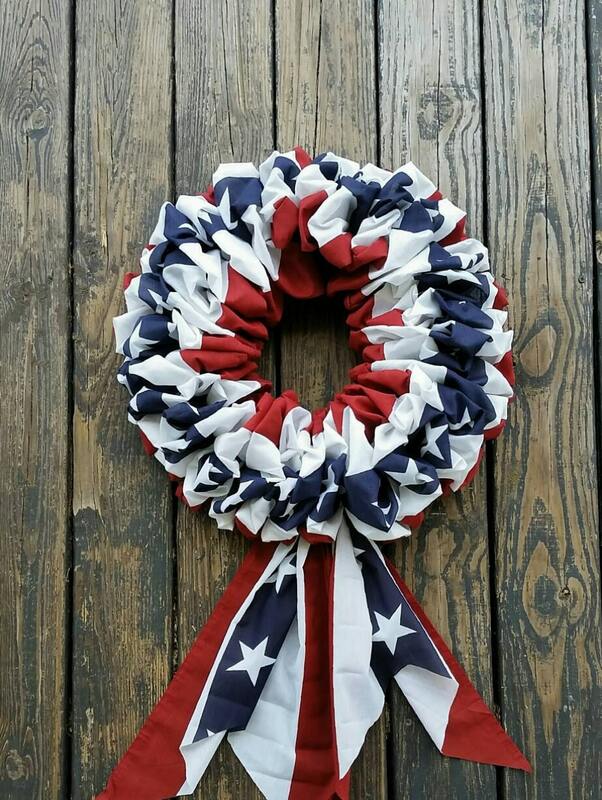 A wire wreath have was used.